I recognized this instantly when I saw it, did you? 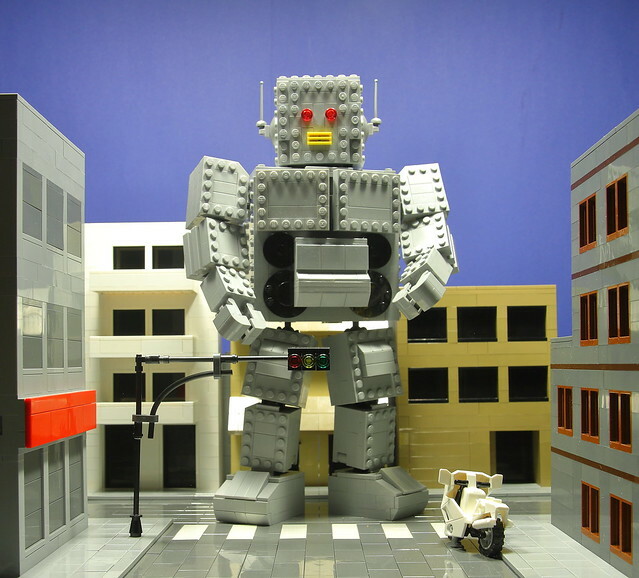 It's the giant robot from one of the greatest music videos of all time, Intergalactic by The Beastie Boys. The B-boys' music videos have run the gamut of barely watchable to downright masterpieces, this video falls into the later category along with Ch-Check It Out and of course Sabotage. Intergalactic is by far my favorite and this MOC by Cpt. Brick just made my day.